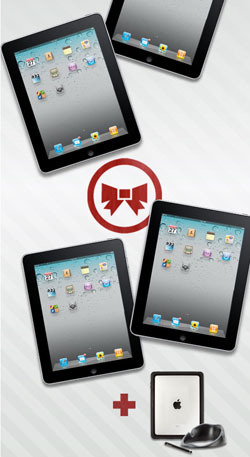 Griffin Is Giving Away FOUR iPads This Christmas! Griffin is giving away 4 iPads this Christmas! You can enter to win one of four iPads and some great accessories. Each winning iPad comes with a Reveal iPad case, a Loop stand and Stylus. Click here to find out more. The Christmas Sweepstakes ends on December 27th, 2010.